Context - Desertification is the persistent degradation of dryland ecosystems. It threatens the livelihoods of some of the poorest and most vulnerable populations on the planet. Desertification is largely caused by unsustainable use of scarce resources. What options exist to avoid or reverse desertification and its negative impacts? 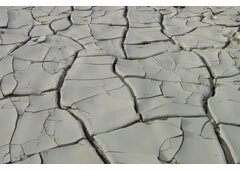 Desertification is the persistent degradation of dryland ecosystems by variations in climate and human activities. Home to a third of the human population in 2000, drylands occupy nearly half of Earth’s land area. Across the world, desertification affects the livelihoods of millions of people who rely on the benefits that dryland ecosystems can provide. In drylands, water scarcity limits the production of crops, forage, wood, and other services ecosystems provide to humans. Drylands are therefore highly vulnerable to increases in human pressures and climatic variability, especially sub-Saharan and Central Asian drylands. 2. How are desertification and human well-being linked? 2.1 In drylands, more people depend on ecosystem services for their basic needs than in any other ecosystem. Indeed, many of their resources, such as crops, livestock, fuelwood, and construction materials, depend on the growth of plants, which in turn depends on water availability and climate conditions. 2.2 Desertification affects a wide range of services provided by ecosystems to humans: products such as food and water, natural processes such as climate regulation, but also non-material services such as recreation, and supporting services such as soil conservation. Changes can be quantified and methods are available to prevent, reduce, or reverse them. 3. Who is affected by desertification? Desertification affects the livelihoods of millions of people, as it occurs on all continents (except Antarctica). 4. What are the major causes of desertification? Desertification is caused by a combination of social, political, economic, and natural factors which vary from region to region. 5. How will different future development paths influence desertification? Population growth and increased food demand are expected to drive the expansion and intensification of land cultivation in drylands. If no countermeasures are taken, desertification in drylands will threaten future improvements in human well-being and possibly reverse gains in some regions. 5.3 Local adaptation and conservation practices can mitigate some losses of dryland services, but it will be difficult to reverse losses in terms of biodiversity and in the provision of food and water which is linked to biodiversity. Freshwater scarcity, which already affects 1-2 billion people globally, is expected to increase, causing greater stresses in drylands and ultimately a worsening of desertification. 6. How can we prevent or reverse desertification? Effective prevention of desertification requires management and policy approaches that promote sustainable resource use. Prevention should be preferred to rehabilitation, which is difficult and costly. 7. Is there a link between desertification, global climate change, and biodiversity loss? Desertification diminishes biological diversity, a diversity which contributes to many of the services provided to humans by dryland ecosystems. Vegetation and its diversity are key for soil conservation and for the regulation of surface water and local climate. Desertification also contributes to global climate change by releasing to the atmosphere carbon stored in dryland vegetation and soils. The effect of global climate change on desertification is complex and not yet sufficiently understood. On the one hand, higher temperatures resulting from increased carbon dioxide (CO2) levels can have a negative impact through increased loss of water from soil and reduced rainfall in drylands. On the other hand, for certain species, an increase in carbon dioxide in the atmosphere can boost plant growth. 8. How can we better understand desertification? 8.1 Scientifically robust and consistent information about the extent of land degradation is important when it comes to identifying priorities and monitoring the consequences of actions. Desertification poses one of the greatest environmental challenges today and constitutes a major barrier to meeting basic human needs in drylands. Desertification is land degradation that affects biological productivity as well as the livelihoods of millions of people. It is caused by a combination of human and natural factors that contribute to an unsustainable use of scarce natural resources. Some 10 to 20% of drylands are already degraded, and the ongoing desertification threatens the world’s poorest populations. Various scenarios that explore the future of desertification and human well-being in drylands show that global desertified area is likely to increase. Prevention is the most effective way to cope with desertification, because later attempts to rehabilitate desertified areas are costly and tend to deliver limited results. Combating desertification yields multiple local and global benefits and helps fight biodiversity loss and global climate change.